Styled after the vintage Omega Constellation, the Globemaster may be vintage-inspired but it's powered by a cutting edge movement. 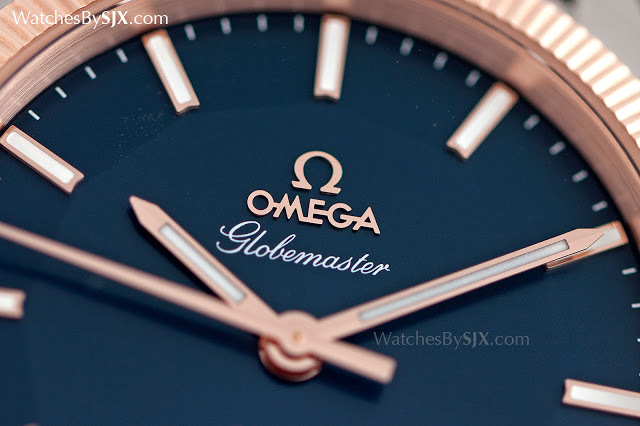 Here's a hands-on look at the Globemaster, complete with review, photos and prices. 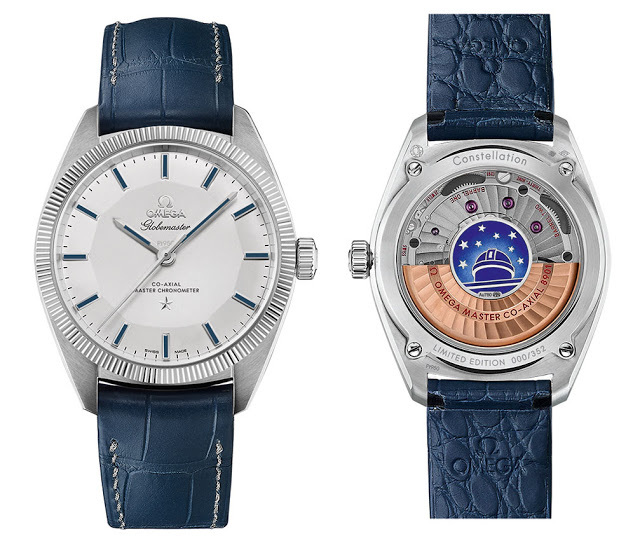 Introduced at Baselworld in March 2015, the Omega Globemaster is only just reaching stores. Though lacking the pop culture credentials of the Speedmaster Snoopy or Seamaster 300 Spectre, the Globemaster Master Chronometer is arguably Omega’s most significant wristwatch of 2015, being the culmination of a decade long effort to develop a more robust and reliable movement. The looks of the Globemaster are familiar to those who understand vintage Omega watches, but it’s not quite a vintage remake. 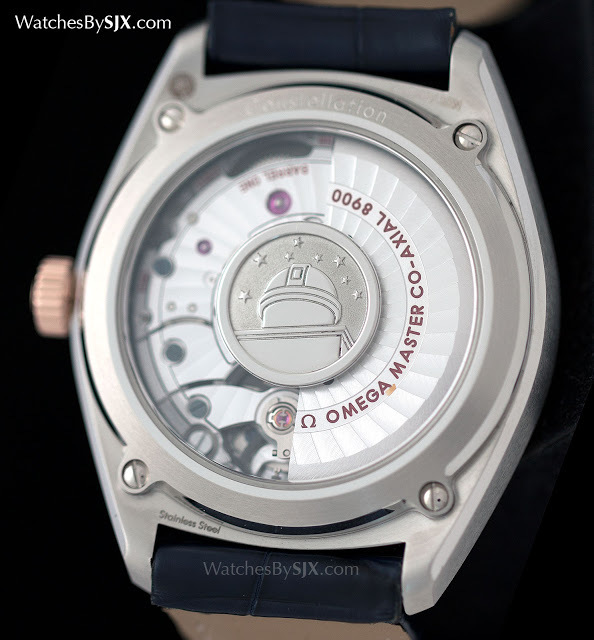 Instead it’s a blend of elements of from various Omega Constellation models from the 1950s to 1960s. 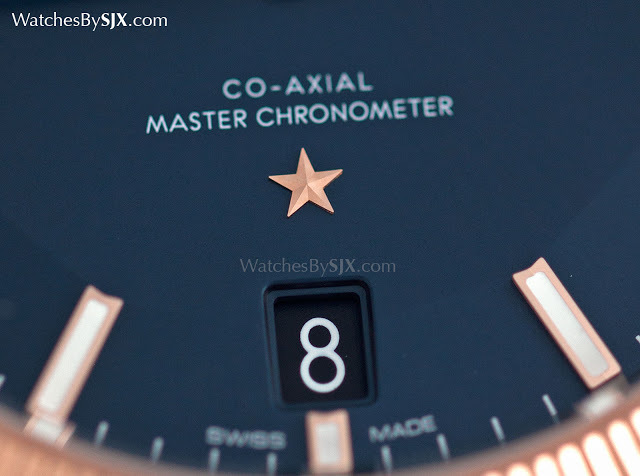 The name itself was once applied to early Constellation watches in the 1950s. Similarly, the pie pan dial, named after its shallowly domed, facetted shape, is taken from early Constellations, as is the inlaid star at six o’clock. 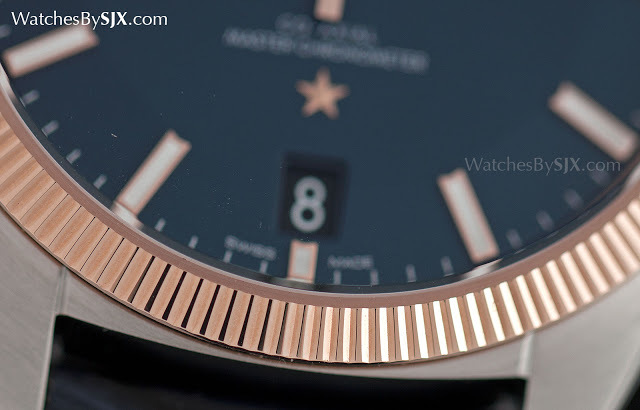 Both the fluted bezel and tonneau-shaped case, on the other hand, can be found on the 1960s Constellation C. And on the back the relief medallion featuring an observatory has been the trademark of the Constellation line since its inception. It’s a reference to the observatory timing contests Omega took part in, back when such things still existed; they were terminated once Japanese watches started winning and the quartz crisis erupted. Inside the steel Globemaster watches is the Master Co-Axial calibre 8900, while the gold versions are equipped with the calibre 8901 (identical save for the red gold rotor and balance bridge). 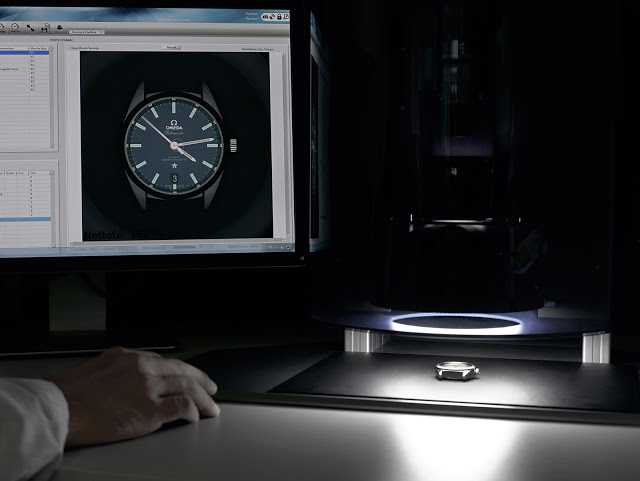 These movements are the first with the METAS certification announced last year, making them Master Chronometers. 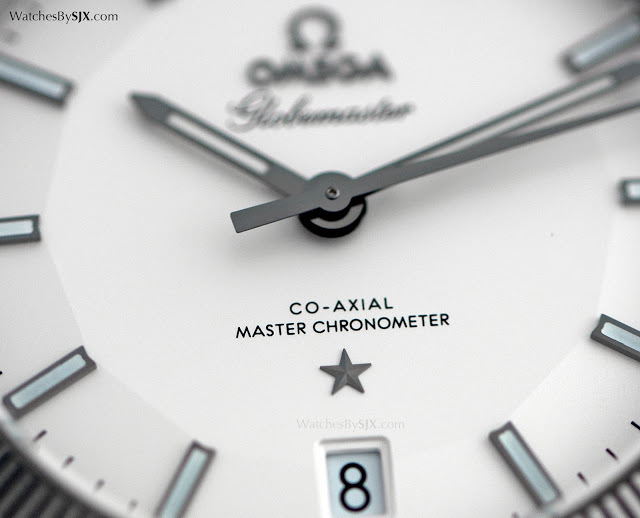 Developed by the Swiss Federal Institute of Metrology (METAS) and Omega, the METAS test is meant to be a neutral and stringent process that tests the entire watch (instead of just the movement as COSC does) and demands higher standards than COSC, the best known chronometer testing body. METAS requires an average daily rate of 0 to +5 seconds, while COSC needs just -4 to +6 seconds to pass. And METAS also tests for magnetism resistance, something the Master Co-Axial excels in, being resistant to magnetic fields of beyond 15,000 Gauss, equivalent to that generated by a small magnetic resonance imaging (MRI) machine. Omega accomplished that with proprietary non-magnetic alloys for key components of the escapement, as well as silicon for other parts. The Master Co-Axial movements are the most magnetism resistance in the industry, by an enormous margin. 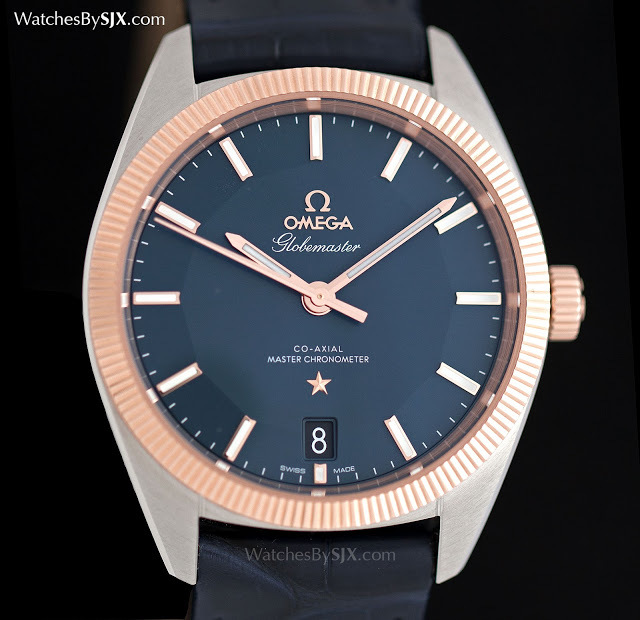 That being said, Omega also sends the movements to COSC for certification, so each Globemaster is somewhat redundantly also a COSC chronometer. Like Omega’s other top of the line movements, the calibres 8900 and 8901 are finished with a spiral Geneva striping Omega calls Cotes Arabesques, with all the screws treated with a black finish. Though all the decoration is obviously mechanically applied, it is attractive and as good as the best in this price range. All of this can be admired through the display back, unlike conventional magnetism-resistant watches that require a soft iron cage inside. Fittingly with its vintage style, the Globemaster is 39 mm in diameter, just right for the correct retro feel. It’s offered in a diverse range of materials, starting with the base model in stainless steel. 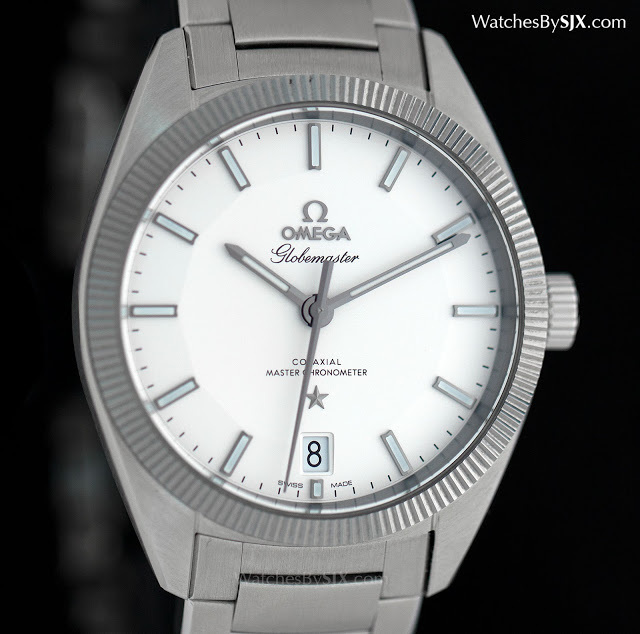 Despite being entry-level, the steel model is not entirely steel; its bezel is made from tungsten carbide, a hard, grey metal usually used for the tips of industrial drills. Two-tone steel and gold models are also available, as are solid gold models. 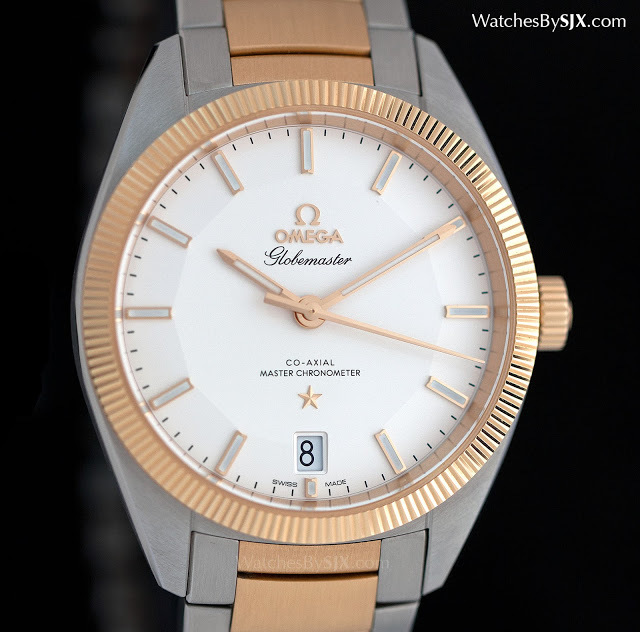 Both are available in either yellow gold or Omega’s patented Sedna gold, a red gold alloy that does not fade over time. The top of the line model is the comically expensive platinum limited edition of 352 pieces. This has a solid platinum dial with a grained finish, with the white gold hour markers and hands filled with dark blue enamel. Similarly, the observatory medallion on the back is also in blue enamel. And it’s fitted on a leather strap stitched with platinum threads. A luxe version of the Speedmaster reissue, the "First Omega in Space" is now offered in 18k Sedna gold, a rose gold alloy proprietary to Omega. Introduced at Baselworld 2014, the Omega Speedmaster Mark II is a remake of the 1970s chronograph of the same name. Aesthetically almost identical to the original, the new Mark II is nonetheless equipped with all the upgrades found in modern Omega watches, like the Si14 silicon hairspring.